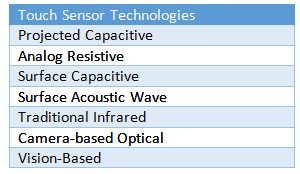 This article briefly discusses the different existing touch sensor technologies. Then, it focuses on which is the most appropriate for supporting an extra large touch screen. It is remarkable that after all these years of touchscreen evolution there are still so many different technologies behind touch sensors, all developed in parallel to one another. The huge diversity of technologies is driven by the different applications and specialized requested features of them. The touch panel of a museum info kiosk, for example, is based on surface acoustic wave (SAW) technology offering high durability while on the other hand, gaming tables such as casino machines, rely on projected-capacitive touch sensors with increased sensitivity and multi-touch capabilities. Is there a clear winner? Recent developments say maybe. Figure 1. Some of the most popular touch sensor technologies of 2016. New requirements such as better touch and proximity performance, lower power consumption, and higher noise immunity emerge and they all challenge technology’s limitations. The growing demand for large-format multi-touch panels and large curved screens present an even greater challenge. The maximum size of the touch sensors that can be produced commercially at reasonable costs varies among touch technologies. That size also increases year by year, as the technology evolves. 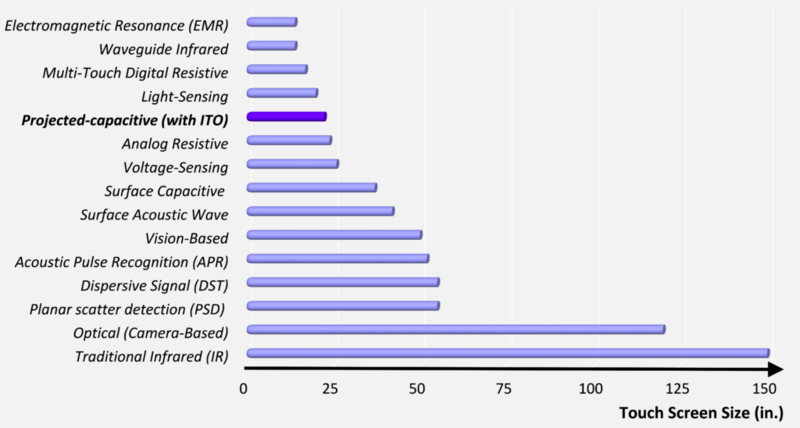 Geoff Walker’s report, published in 20102, provides a detailed account of touch sensors’ sizes according to type: the largest touch sensors can be built based on “traditional” infrared or camera-based technology. 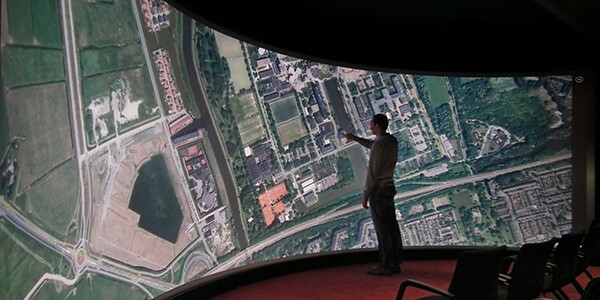 One of the largest touchscreens today is the really enormous (10m x 2.8m) – and impressive – “Reality Touch Theater” of the University of Groningen3. With 16 infrared illuminators and 6 cameras, it can detect more than 100 simultaneous touches! A truly extra large touch screen with impressive multitouch capabilities. 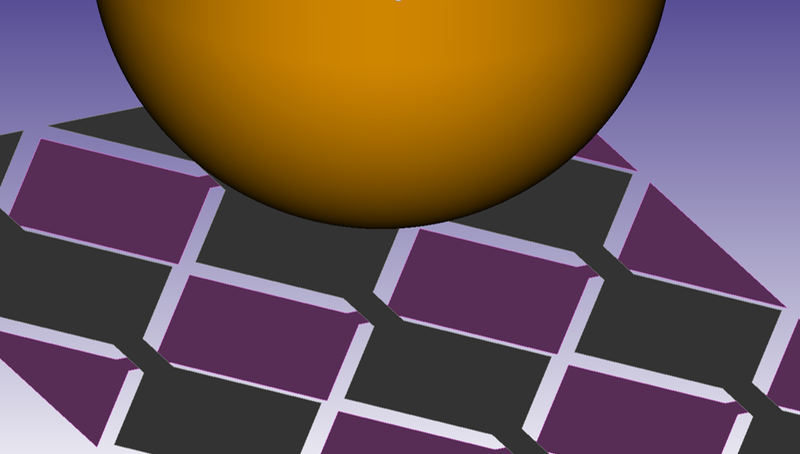 Image 1. The impressive “Reality Touch Theater” of the University of Groningen. Published by University of Groningen, 2011. Is it infrared then? No. Some of the technology’s disadvantages like the vulnerability to external light and increased response times make it not ideal the extra large touch screen. This led researchers to a different direction. Look back to 2010 and you’ll be surprised to note that today’s most popular technology, i.e. projected-capacitive, was standing at the lower end of the size list (graph). Figure 2. Maximum size of touch sensors depending on their type. So how did it evolve so fast? The answer lies in the material. Initially, Indium Tin Oxide (ITO) was the transparent conductive material that replaced the original, more expensive Antimony Tin Oxide (ATO). However, its relatively high resistivity still remained an obstacle for the construction of larger-format sensors, lower as it may be to that of ATO. As touch sensors’ sizes increase, their electrode length increases as well. This causes higher resistance, leading to higher time constant (RC product) which causes a slower response and poor sensor performance. The need for low resistivity transparent conductive materials led to “ITO-alternatives”. Although ITO still holds 70% of the touchscreen market, “ITO-alternatives” technology enabled projected-capacitive panels to progress and be widely used today in an extra large touch screen that even exceed 100 inches. Some of those are carbon nanotubes, conductive polymers, nanobuds, graphene, silver nanowires, and metal mesh. Metal mesh, a conductive grid usually made of silver, copper, or aluminum, seems to hold an advantage over its competitors. It combines low resistivity (generally less than 25 Ohm/sq.) with high optical transmission (over 85%) and both at a relatively low cost. Low resistivity also offers high touch sensitivity, allowing for the usage of thick cover glass. These properties make metal mesh an excellent candidate for use in an extra large touch screen. Figure 3. Size of projected-capacitive touchscreens against sheet resistance depending on electrode material. If the current trend tells us something, it is that projected-capacitive panels will remain the predominant touch technology in the forthcoming years as the use of metal mesh removes ITO limitations and expands the boundaries of touchscreen industry. We will discuss our findings on the effects of metal mesh density and cover glass thickness on the performance of projected-capacitive touch screens through simulation, at the Electronic Display Conference 2017, in Nuremberg. 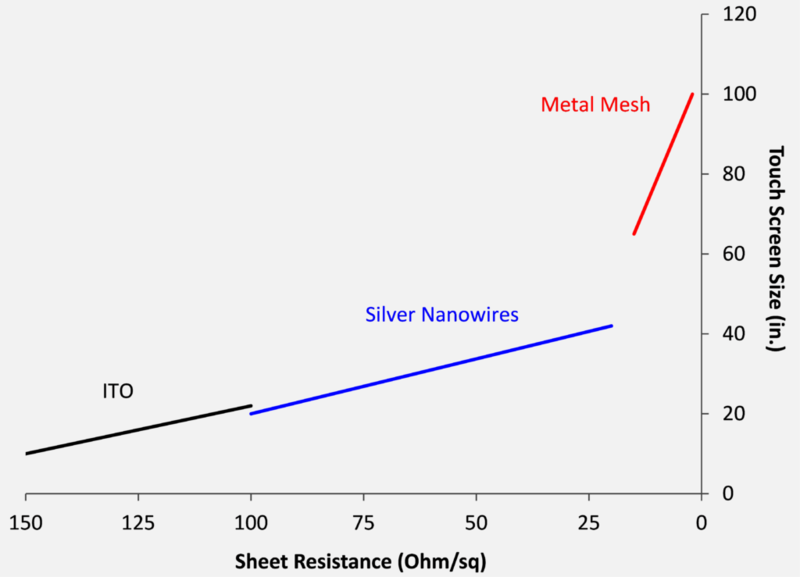 Download our research paper: Metal Mesh vs ITO in Projected-capacitive touch screens. Article reposted with author’s permission. Originally published at Computing Now and IEEE Computer Society. Fundamentals of Touch Technologies and Applications, Geoff Walker, 2010. Reality Touch Theatre, University of Groningen.